Get out your safety eyeglasses. A 90-percent partial eclipse will pass over Missouri Southern on Monday during the 16th annual Welcome Week Picnic planned for Monday on the campus Oval. Glasses for viewing the eclipse will be available on a first come, first served basis to students, faculty and staff starting at 10:30 a.m.
· Welcome Week picnic on campus oval for students, faculty and staff, 10:30 a.m. – 1 p.m. Free shirts for the first 500 students with ID and free protective eclipse eyeglasses for students, faculty and staff while supply lasts. · President’s Ice Cream Social for students with ID, 10:30 a.m., Billingsly Student Center. · Community Day on the Oval, 10:30 a.m. – 1 p.m. Sponsored by Career Services, students can visit with representatives from area businesses and non-profits, sample products and explore job and volunteer opportunities. · Campus Involvement Day, 10:30 a.m. – 1:30 p.m., on the Oval. 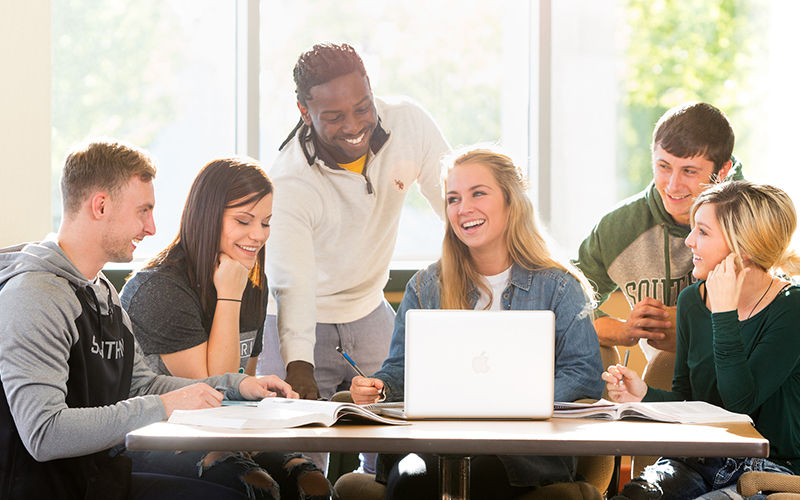 Students can get information about participating in a variety of campus organizations. · Survivor Night, 8:30 – 10 p.m., cross country course. You survived the first week, but can you survive the zombie outbreak? Open to students with ID; free T-shirts for the first 200 students.